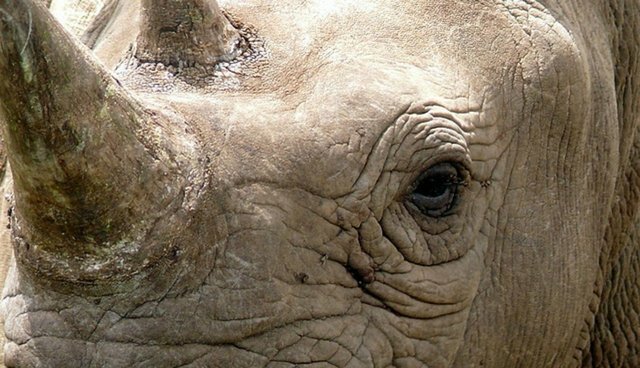 Last year, poachers killed a total of 1,004 rhinos in South Africa for their horns - a record high and double the number killed in 2011. That record has already been shattered and the year isn't even over. Since January 1, a total of 1,020 rhinos have been poached in the country, according to a statement released Thursday by South Africa's Department of Environmental Affairs. "Unfortunately the threat of poaching has continued to escalate while various multi-faceted interventions are being implemented by South Africa," the Minister of Environmental Affairs Edna Molewa said. But South Africa is fighting back: the government has already deployed members of the army to watch over the border with Mozambique, a country known to be heavily involved in poaching. South Africa is also using helicopters and sniffer dogs to root out poachers before they kill. The country has even resorted to moving some rhinos to "safe zones" in other countries. As poaching numbers climb, the number of arrests are rising too. A total of 344 alleged rhino poachers, transporters and syndicate members were arrested this year - up from 343 in total last year. 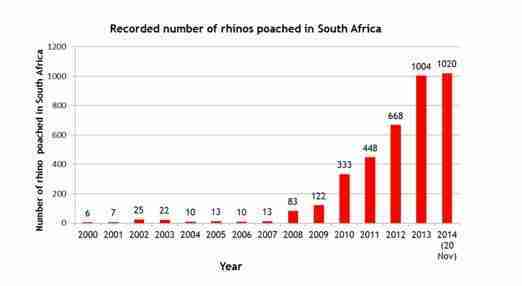 Even so, Save The Rhino asserts that overall rhino deaths could overtake births sometime between 2015 and 2021 - a huge warning sign in regards to their survival.